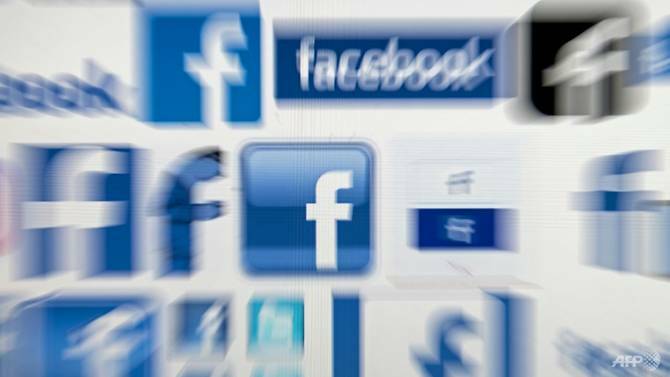 Britain's data regulator said on Wednesday (Jul 11) it will fine Facebook half a million pounds for failing to protect user data, as part of its investigation into whether personal information was misused ahead of the Brexit referendum. "In 2014 and 2015, the Facebook platform allowed an app ... that ended up harvesting 87 million profiles of users around the world that was then used by Cambridge Analytica in the 2016 presidential campaign and in the referendum," Elizabeth Denham, the information commissioner, told BBC radio. The ICO added that it plans to issue Facebook with the maximum available fine for breaches of the Data Protection Act - an equivalent of US$660,000 or €566,000. Because of the timing of the breaches, the ICO said it was unable to impose penalties that have since been introduced by the European General Data Protection, which would cap fines at 4.0 per cent of Facebook's global turnover. In Facebook's case this would amount to around US$1.6 billion (€1.4 billion). The EU in May launched strict new data-protection laws allowing regulators to fine companies up to €20 million (US$24 million) or four percent of annual global turnover. The British fine comes as Facebook faces a potential hefty compensation bill in Australia, where litigation funder IMF Bentham said it had lodged a complaint with regulators over the Cambridge Analytica breech - thought to affect some €300,000 users in Australia. IMF investment manager Nathan Landis told The Australian newspaper most awards for privacy breaches ranged between A$1,000 and A$10,000 (US$750-$7,500). This implies a potential compensation bill of between A$300 million and A$3 billion.